The most incomprehensible aspect of September 11 may well have been the aftermath, a time when suddenly nothing made sense. Tim Rutherford-Johnson on the musical responses to the 2001 terrorist attacks. 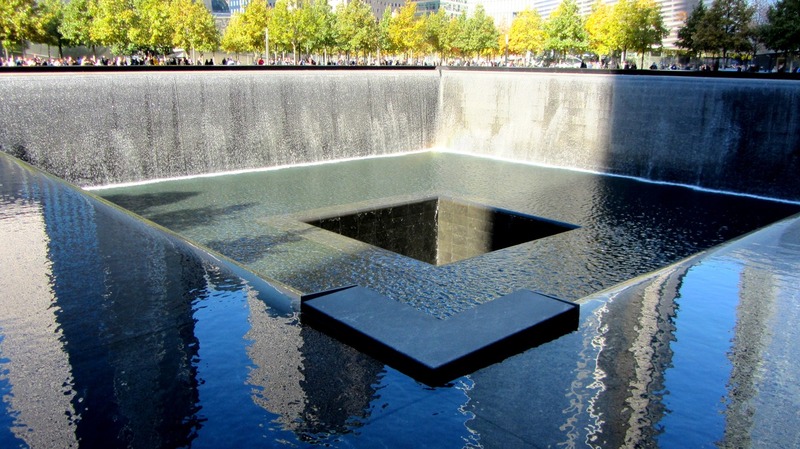 Major tragedies often inspire artistic responses, of commemoration and memorial, but 9/11 – whose seventeenth anniversary this is – inspired more than most. This was as much the case in music as in the other arts: in 2012 I set about adding some examples from classical music to Wikipedia’s ‘List of cultural references to the September 11 attacks’. I came up with more than forty items, and there are surely more. What strikes me today about that list – which reaches from imposing symphonies by Mohammed Fairouz and Wojciech Kilar to intimate piano suites by David Del Tredici and Karen Walwyn; from Robert Moran’s Trinity Requiem (2010) to Phil Kline’s Sept. 22 Vigil (2001), a ‘walking vigil’ of 40 boomboxes playing Kline’s music that were carried through Manhattan – is its sheer diversity. The range of forms, styles and aesthetics it encompasses demonstrates Bleiker’s point: the 9/11 attacks demanded a response, but their horror, their magnitude and their unprecedented assault on normality, at least as it was understood in the West, defied explanation. When faced with the attacks of September 11, music’s normal modes of commemoration and memorial fractured. Of course, echoing the understandable retrenchment of politics into patriotism and conservatism in the wake of the attacks, many composers turned to neo-Romantic modes of commemoration. Among such pieces we might include Ellen Taaffe Zwilich’s Clarinet Concerto (2002), whose second movement is an Elegy for the victims of 9/11, and John Corigliano’s lament for mezzo-soprano and orchestra, One Sweet Morning (2010), commissioned by the New York Philharmonic to mark the tenth anniversary of the attacks. Yet many more responses took experimental or contemporary routes. Faced with Bleiker’s ‘breach of understanding’, they often used documentation as a way to create meaning, employing recordings, lists of names and other reality-based materials. This approach follows a trend in public memorial art identified by the critic Erika Doss:2 a move away from monuments commemorating great men and national mythologies, and towards memorials that emphasise private affect and encourage viewers to negotiate their own relationship to history. Public art memorials have long used names to generate such affective responses, from the humble village war memorial to major public works such as Maya Lin’s Vietnam Veterans Memorial in Washington, DC. Names enable lists, and lists, Doss argues, can counter the ‘shattering disorder’3 of atrocity and trauma. Among those musical works to have used names is John Adams’s On the Transmigration of Souls (2002) for choir, orchestra and electronics. Another New York Philharmonic commission, this time for the first anniversary of the attacks, it is perhaps the closest we have to an official musical memorial, a musical counterpart to the vast square pools of Michael Arad and Peter Walker’s Reflecting Absence memorial park on the World Trade Center site. Adams divides his text between the chorus and a soundtrack of spoken recordings. It is compiled from the handwritten missing persons signs that sprang up around Ground Zero in the days after the attacks and the ‘Portraits in Grief’ obituaries that ran in the New York Times for more than a year after. The spoken text is mixed with recordings of New York itself and the sounds of the orchestra, and relayed through speakers placed around the audience. Like Arad and Walker’s pools, or Lin’s long wedges of polished granite, Adams’s work offers an immersive, subjective experience that invites contemplation rather than dramatic story-telling. In turning towards the listening subject, On the Transmigration of Souls serves the needs of the mourning, traumatized listener rather than a narrative of heroism, national redemption or even vengeance. The attacks themselves are not mentioned at all; the closest allusion is the text ‘I see water and buildings’, the last words of one of the attendants on American Airlines Flight 11. Yet other works employed documentary approaches in order to re-enact or recreate the drama or emotion of the moment itself, rather than to commemorate its victims. Among them are two string quartets, both commissioned by the Kronos Quartet, by two New York-based composers: Michael Gordon and Steve Reich. Each uses recorded speech audibly related to the events of September 11 as both a dramatic device and a musical foundation. Gordon’s The Sad Park (2006) uses the recorded recollections of kindergarten children (from the school his own son attended): short descriptions such as ‘I just heard that on the news that the buildings are crashing down’. Varieties of digital sound processing are applied to the four speech samples, morphing them either into howls or multitudes of anonymous, unrooted points of sound. The music complements these processes, echoing their harmonic and rhythmic content. Rarely for post-9/11 works, Gordon presents us with the moment of the attacks themselves (‘Two evil planes broke in little pieces and fire came’), but the various layers of mediation within his piece – the reactions of the children, the electronic processing, and the extrapolation of this into a harmonic and rhythmic palette – invite us to consider empathetically how it was to witness those attacks, and to live with their aftermath. 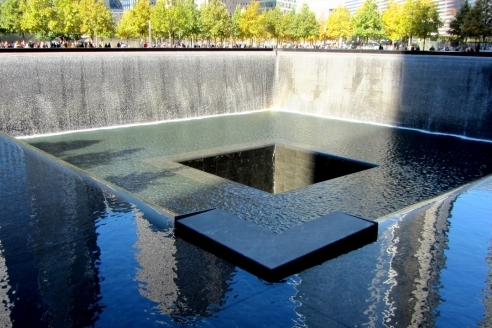 Whereas Adams documents the lives of those who died in the Twin Towers, Gordon offers a documentary of the emotions of those who witnessed their demise. Closer still to the real-life drama of that September morning is Reich’s WTC 9/11 (2010), now one of the best-known post-9/11 works. As in his earlier documentary pieces, such as Different Trains (1988) and Three Tales (2002), Reich uses speech and concrete sounds to create melodies, harmony, and rhythm. Using the voices of air traffic controllers and New York firefighters recorded on the day the first movement takes us dramatically through the events of September 11: planes hijacked, towers hit, emergency services scrambled, towers fallen. To this familiar narrative Reich adds several layers of intensification: a movement from speech to noise, an increase in harmonic dissonance and an increase in rhythmic complexity. Two more devices further heighten this tension: the words themselves become increasingly panicked and personalized (from ‘It came from Boston’ to ‘I can’t breathe’), and there is a steady shift of narratorial viewpoint from the remotely observing air traffic controllers to individuals trapped in the rubble. In Reich’s second and third movements this narrative exposition becomes the frame for a more introspective exploration of the emotional aftermath that draws on the Jewish practice of shmira, or sitting vigil over the dead before burial. September 11 was unprecedented. Not only for its audacity and scale – it remains the most deadly terrorist attack in history – but also for its impact as an audiovisual media event. Gordon’s and Reich’s pieces mirror the forms and practices of 24-hour rolling news that helped make 9/11 such a media spectacle: repetition, slow motion replay and a concentration on recorded artefacts. In many ways 9/11 helped define today’s hyperactive, hysterical news cycle – poring over social media feeds for every available nuance. It also helped define a new form of musical commemoration. This is a kind of minimalist realism that is neither a monument to great men, nor a memorial to innocent lives, but a re-enactment of survivors’ grief. More than a decade and a half later it might seem too inward-looking and self-absorbed. Yet those were frightening times. For all its horror the loss of life was, at least when reduced to numbers and lists of names, graspable. It was that aftermath when for the first time suddenly nothing made sense – a feeling that lasted months or more – that was much harder to comprehend. By putting witnesses at the heart of their memorials, Gordon and Reich were both attempting to fix that ‘breach of understanding’ for them and for us. Tim Rutherford-Johnson is author of ‘Music after the Fall: Modern Composition and Culture since 1989’ (University of California Press, 2017). 1. Roland Bleiker, ‘Art after 9/11’, Alternatives – Global, Local, Political 31 (1), 2006, p. 77-99. 2. Erika Doss, ‘Memorial Mania – Public Feeling in America’. Chicago & London, University of Chicago Press, 2010.